The same might also be said of his book about the French heroine. Published in 1896, when its author was 61, Personal Recollections of Joan of Arc has long been viewed as something of an aberration, a curio — the type of genre-bending work that a bored, established writer often undertakes in order to buck audience expectations. Narrated by a fictionalized version of Joan’s servant and scribe, Sieur Louis de Conte, the book spans the majority of Joan’s life, beginning with her childhood in eastern France and ending with her questionable trial and execution. 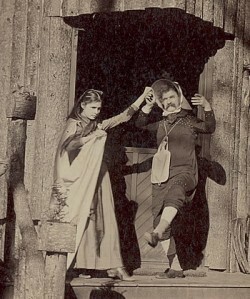 While other Twain novels such as A Connecticut Yankee in King Arthur’s Court and The Prince and the Pauper are also set in medieval Europe, far from the author’s more familiar milieu of mid-19th century Missouri, Recollections is unique in its somber tone. Of course I had been expecting such news every day for many days; but no matter, the shock of it almost took my breath away and set me trembling like a leaf. I suppose that without knowing it I had been half imagining that at the last moment something would happen, something that would stop this fatal trial: maybe that La Hire would burst in at the gates with his hellions at his back; maybe that God would have pity and stretch forth His mighty hand. But now — now there was no hope. 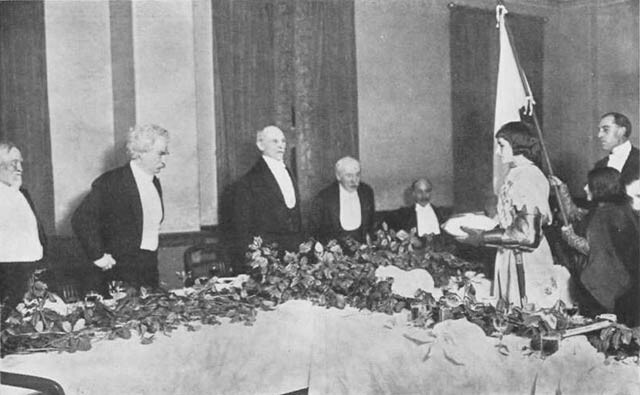 While most references to Joan in Twain’s work crop up after Recollections’ publication — when she’s mentioned in such essays as, “How to Make History Dates Stick,” “Christian Science,” “The Turning Point of My Life,” and the aforementioned 1904 Harper’s essay, “Joan of Arc” — the Maid of Orleans does make a few appearances in some of Twain’s earlier work. 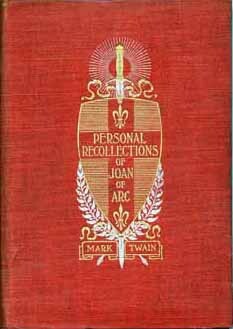 When Twain began his research, Joan of Arc had been dead for well over 400 years. Many of the same divisive issues that plagued her reputation during her lifetime — the accusations of heresy and the contrasting insinuations of her divine inspiration — had left her somewhat in flux, historically. 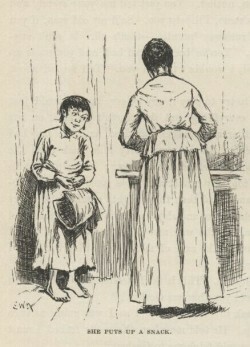 Other examples can be found in a pair of short stories, now widely unread. The first, “An Awful, Terrible Medieval Romance,” originally published in 1870, tells the tale of a father who forces his daughter to pretend to be a boy in order to ascend the feudalistic social hierarchy. The second, an unpublished 1883 short story titled “The 1,002nd Arabian Night,” sets up a rather contrived premise wherein two babies of different sexes are switched at birth, living their new lives with reversed genders unbeknownst to those around them — this despite the fact that they often bathed together as young children and presumably at some point one of them would have looked down and noticed a difference. In this way, Joan somehow miraculously fulfilled the two parts of Twain’s ideal of womanhood — she was an intellectual equal but a modest and self-abnegating one. In this way, Joan somehow miraculously fulfilled the two parts of Twain’s ideal of womanhood — she was an intellectual equal but a modest and self-abnegating one. She represented both his love for traditional girlishness and the aspirational benchmark he set for the generation of intrepid young girls he imagined were about to come of age. These “Russian peasant” portrayals of Joan — as Twain referred to them — jettisoned what the author loved most about her: chiefly her youth and her beauty. The idea that an enterprising, intelligent young woman could be depicted as somehow older than she was — or, even worse, as a predominantly masculine figure — offended him greatly. Men, after all, were intrinsically dishonest and filthy. Women, specifically young women, were naturally honest and pure. 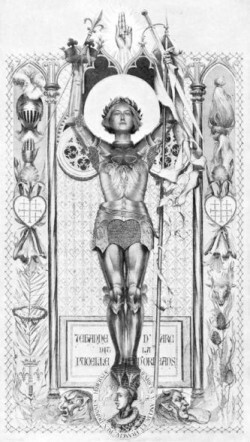 Joan of Arc became a household name. 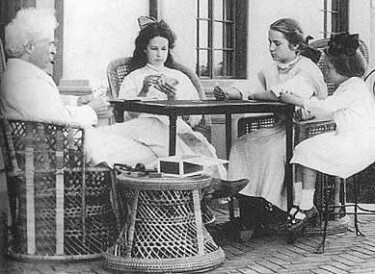 In the ’20s, dozens of stage-plays, novels, moving pictures, et al told (and retold) her story. Yet, even with conditions perfectly primed for a revival, Twain’s Recollections remained largely unread — despite the enduring popularity of its author and the newfound admiration for its subject. As Joan became further identified with “The New Woman,” Twain’s book was buried beneath an avalanche of new Joan-inspired material, nearly all of it shot through with a comparatively fresher take on female empowerment. Daniel Crown is a freelance writer based out of Brooklyn.